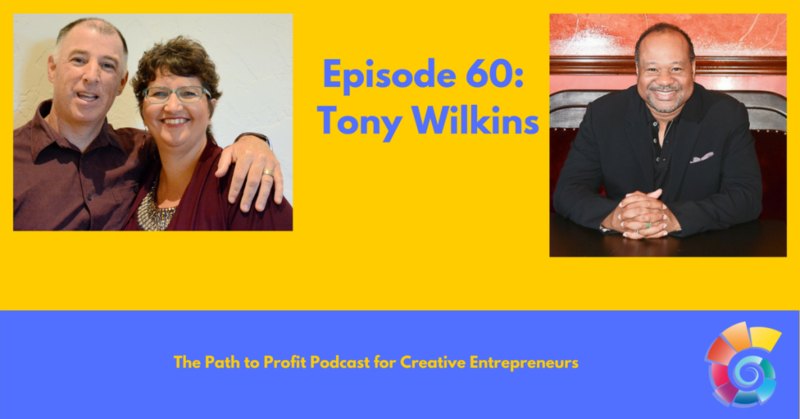 Tony Wilkins returns to the Path to Profit Podcast for another fun talk about Creativity, Service, and Business. Tony is a great example of someone who knows how to integrate his creative skills with his business acumen, and that is all wrapped up in a service-first attitude towards networking. There are some great takeaways from this episode, especially for you networkers out there! 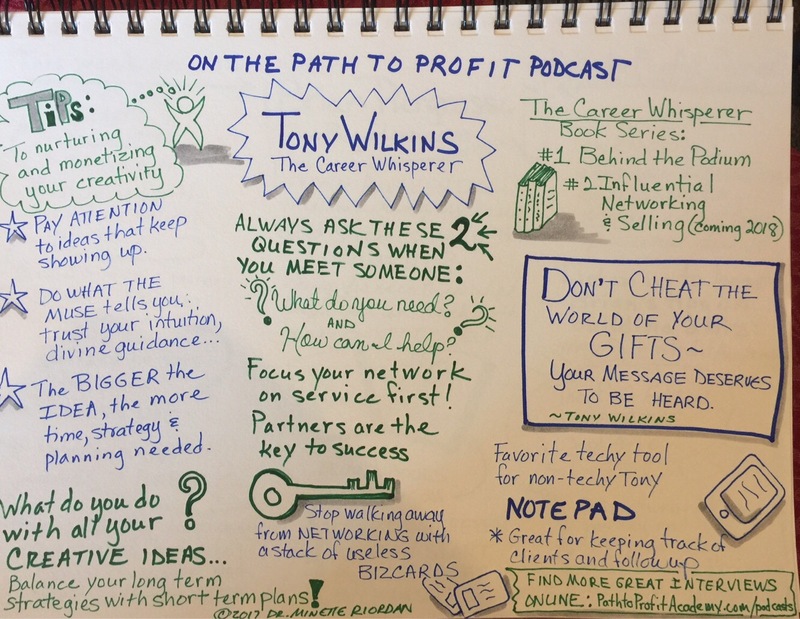 Tony Wilkins is one of the premiere authorities on connecting people of influence to one another by developing long term reciprocal relationships. His popular Internet radio show, Small Business Forum Radio www.blogtalkradio.com/tonywilkins reaches over 250,000 business owners globally and is one of the top business shows on the network. In Jan 2017 Tony launched The Coaching Hour Radio Show, along with The Writer’s Market, Women of Influence and Start-up Showcase Radio to appeal to the needs of the individual markets. His workshops not only educate business leaders on a better way to connect, but offers valuable and available resources for building powerful business connections. He is a master networker whose global connections span multiple industries including film, media, art, literary, political, small business, start-ups and culinary; with ties to organizations like the Small Business Administration, Public Speakers Association, NAWBO, BNI, various business chambers, San Francisco City Hall and the Golden Gate Business Association. Tony is the author of several books including the best-selling Telemarketing Success for small and mid-sized Firms, The Single Person’s Cookbook (www.amazon.com) and Surviving the economy. His new book, The Career Whisperer: Behind the Podium is a step by step guide for anyone looking to launch a career as a public speaker or for sales professionals looking for a better way to reach more prospects faster and easier. Mr. Wilkins is also the publisher of Small Business Forum Magazine, Foodie Quarterly, and Podium Magazine and speaker’s directory. Recently named as one of the Top 10 Media Training Speakers by socialmediaexplorer.com he runs a very successful booking service for authors and speakers and is the creator of the annual Small Business Empowerment Conference and the Women of Influence Summit. Mr. Wilkins was also recently named National Speaker of the year and appointed to Partnering Director of the Public Speaker’s Association in San Francisco.